Make your brunch even better with this delicious twist on an old classic. A ramen-seasoning rimmed Bloody Mary glass with increase the flavor of the original delicious drink. Use this quick and easy recipe. In a pitcher, mix together the tomato juice, vodka, lime juice, horseradish, and sriracha; place in the refrigerator and chill for one hour. Pour the ramen seasoning onto a small plate. Moisten the rim of 4 glasses with water, then lightly roll the edges into the ramen seasoning. 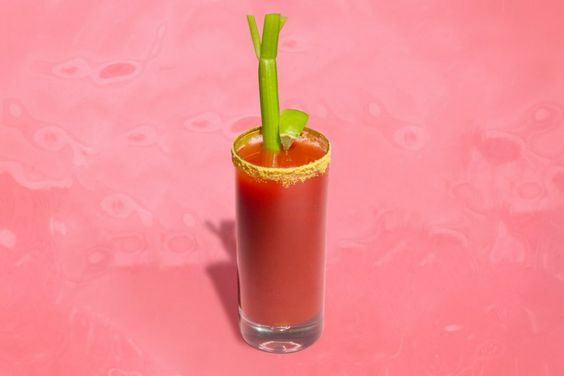 Divide the tomato mixture between the glasses and garnish each with a lime and a celery stalk. Powered By a Passion for Perfect Cocktails.